AIM System is an cloud-based EMS software that integrates dispatch, ePCR, and billing services for ambulance and emergency personnel. Users collect EMS call intake information and transfer it from dispatch to patient care to EMS billers in real-time and with accuracy. AIM Systems features include privacy module, audit tracking, certified disaster recovery, documentation attachments, differentiated workflows, and intuitive billing. EMS call intake is secured with relevant EMS documentation attached directly to the dispatch record (face sheets, PCS/PMNCs, etc.). AIM EMS Dispatch software comes with built in tools and resources (Privacy Module, Audit Tracking, and SOC Certified Disaster Recovery) that offer secured data storage. AIM EMS Dispatch software considers the fact that the emergency call workflow is different than a scheduled call workflow, allowing call takers and dispatchers the ability to work through intake, notifications, scheduling, and collaboration with EMS crews and managers as efficiently as possible. EMS Dispatchers can open multiple call queues at the same time and filter statuses for easy tracking of any and all call statuses. Users can complete EMS ePCRs with automated validations that ensure EMS crews are collecting the required data every time. AIM EMS ePCR software comes with configurability that allows for automatic field defaults based on specific incident types, saving crew’s time and preventing documentation errors. Workflow automation gives crews the ability to pick up calls from an open dispatch queue, automatically pulling in data collected during dispatch. AIM EMS billing software provides extensive configurability to reduce the need to re-type the same information over and over again, and automatic data validation prevents incomplete and incorrect EMS claim submissions. 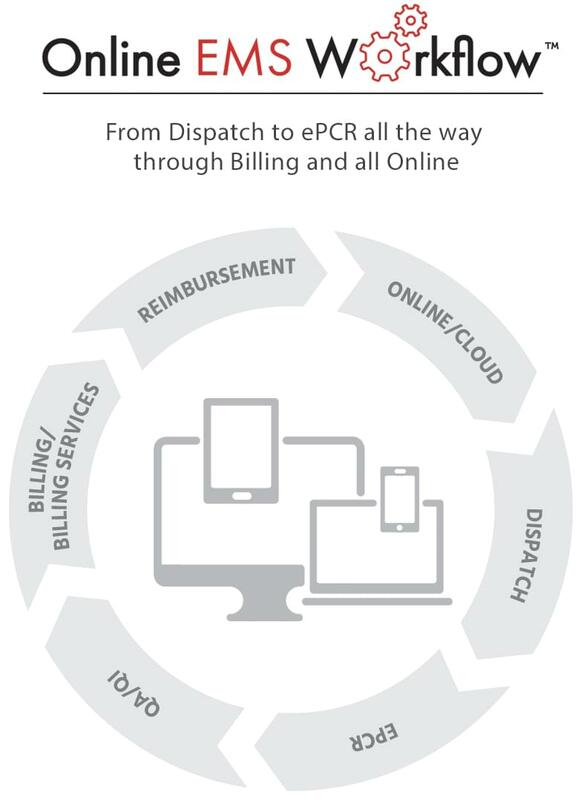 AIM System software focuses on EMS billing reimbursement and operational processes, and offers 24/7 access to EMS operation data. AIM System is NAAC certified EMS billers, and offers comprehensive online training. Software routinely updates to adjust to state-specific legislative changes. Not sure if AIM Systems is right for you? Use our Product Selection Tool to compare other EMS solutions. Have questions? Call one of our unbiased Technology Advisors for a free consultation. Learn everything you need to know about AIM System. Our experts will reach out to you shortly.